Growing up surrounded by different culinary ethnicities and with a mother who was a great cook, Chef Brian was introduced to the culinary world at a very young age. In the early 90s, he began his culinary career by working in several trendy Colorado ski towns, which led him to attend The Culinary Institute of America in New York. After graduation, Brian honed his skills within several fine dining restaurants, five-star hotels and platinum country clubs throughout Washington D.C. and the Florida cities of Jacksonville and Jupiter. Chef Brian is now using his extensive culinary knowledge and his understanding of addiction to help better the lives of others. Aside from food, Chef Brian’s passions outside of work include spending time with his wife, going to the beach, golfing, traveling, and fishing. Preheat oven to 350 degrees. Clean brussels sprouts and cut in half then toss in vegetable oil, salt and pepper to taste. Place on baking sheet and roast in oven until tender, about 20 minutes. Chop bacon into small pieces, cook bacon on medium until crispy, remove bacon from pan. Add onions and cook until translucent. Add sugar, balsamic and bacon to pan and stir, remove from heat. 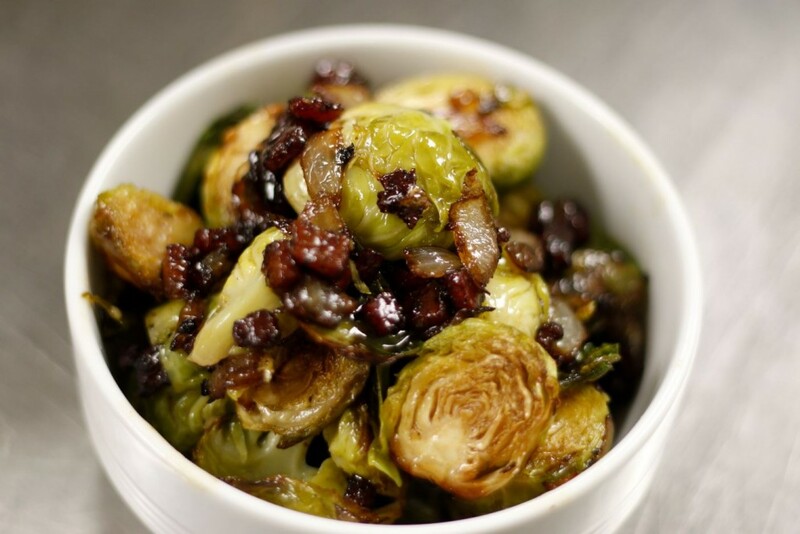 Once your brussels sprouts are done toss in a bowl with your bacon, onion, sugar and balsamic glaze and serve.